The Import Single Page feature is very useful for importing a website home page, or for importing any other page where you need to apply individual settings. This is the address of the website page to be imported into WordPress. WP Site Importer will remember the URL you enter as you will most likely want to use the same URL when you use other features of the plugin. 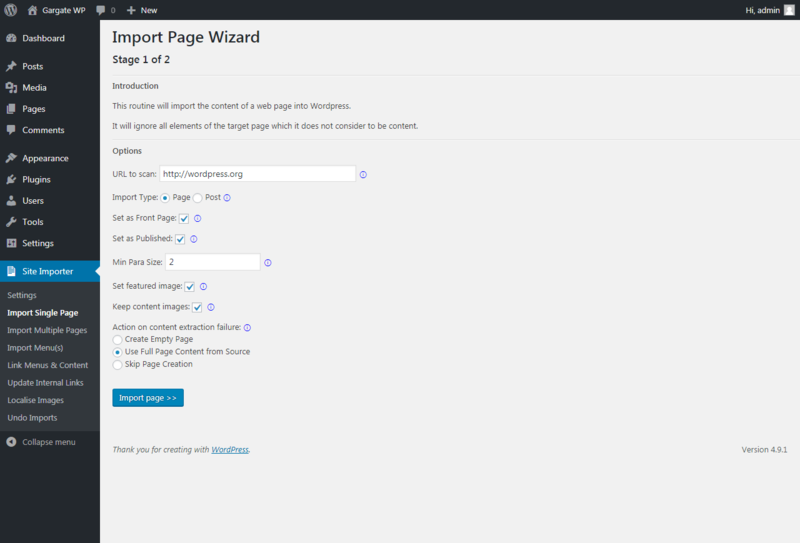 Determines whether to make the newly imported page the front page of the WordPress site. (i.e. ensuring it is loaded as soon as you access the website). Once you’ve configured this page, click Next to move on. 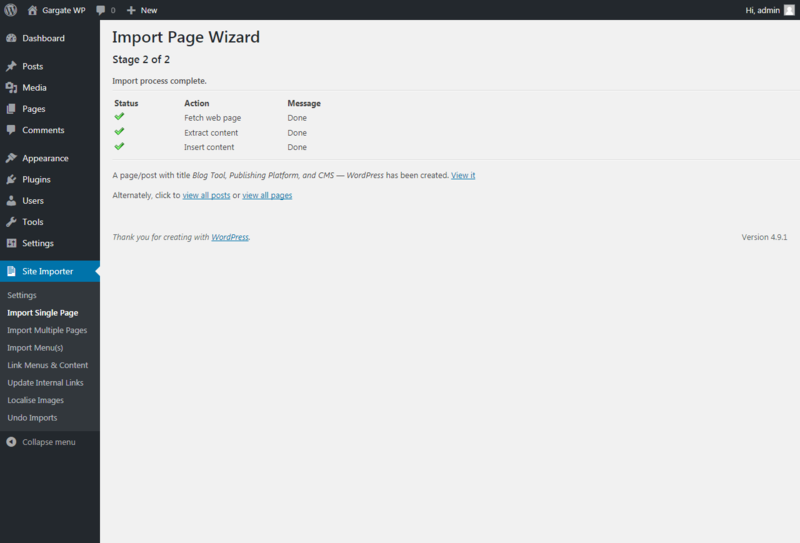 The plugin will automatically extract and import the content. A summary screen will be shown explaining the results. If there are no issues, a link will be provided to view the newly imported content. The newly imported content is available within your WordPress system. 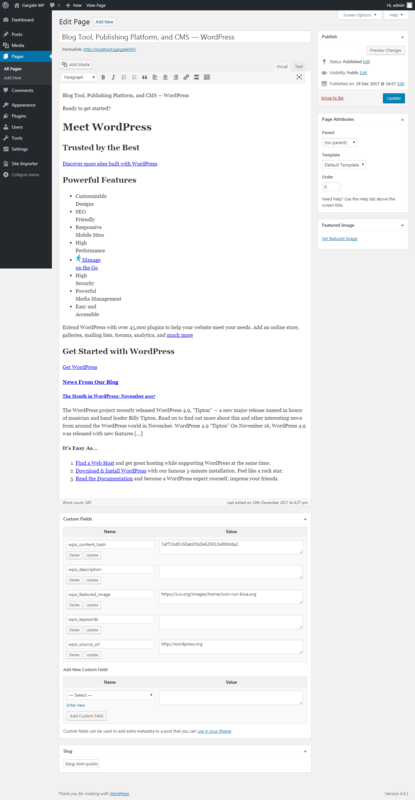 This will be styled by whatever theme you are using within WordPress.